Millennials love their technology. They grew up with high-tech gadgets, desktop computers, and smart devices. When marketing to Millennials, know that they are more likely to respond to online marketing and communication efforts as opposed to newspaper ads, flyers, and postcards. Although you may have a physical office at your brokerage firm or at home, don’t forget to take advantage of an online virtual office, too. This will allow you to interact with prospective Millennial home buyers online—whether through social media, email, Skype, text alerts, or other means. 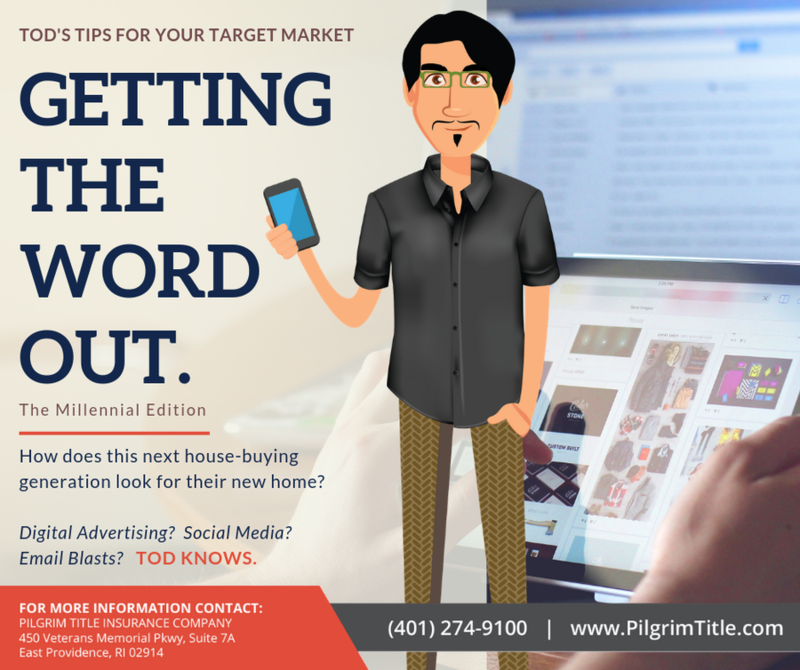 Some of the most effective options for targeting Millennial home buyers (and others) are shareable blog posts and short videos posted on YouTube and Vine. Many agents today are writing their own blogs and posting videos from their smartphones onto social media sites that can be seen worldwide. As more people “Like” their video tours of home listings or share them on Facebook, Twitter, LinkedIn, Pinterest, Google Plus, Tumblr, or Instagram, the potential growth rate of viewers is almost limitless. Don't forget however, after they have done their research they still want a reliable agent to help them through the transaction- in person! Get ready!